The Constitutional Council in their ruling, dust-binned all 18 petitions filled by the different opposition parties challenging the outcome of the fraudulent and already rigged polls. According to Justice Clement Atangana, President of the said council, the four days brilliant and factual submissions made by the different opposition lawyers to defend their claims were simply unfounded, baseless and void of evidence. Upholding the outcome of the so-called elections also means that the court approves the concocted figures by the bloody regime affirming that elections took place in Ambazonia with more that 80 000 people voting. One begins to wonder whether these eighty thousand Ambazonians who allegedly voted according to the CPDM did that in French Cameroun where they had all ran to before the said election or the votes came from the ghost cities that were witnessed across the Southern Cameroons. The post-electoral litigations streamed on live television for the first time and monitored all over the world were therefore just a form of judicial entertainment, as the ruling delivered by the Kangaroo Constitutional Council was already written in favour of Paul Biya even before the commencement of the hearing. What has Federalist Ambazonians got to say about this charade they initially approved? A group of Southern Cameroonians like the Fru Ndis, the Munas, the Osihs, the Ndifors and the Chinjes who had believed in the ballot box as the best strategy to get rid of the colonial bloodsucker Paul Biya and then effect a constitutional change that addresses the Southern Cameroons question should now be leaking their wounds. Some of them still believe that the restorationists and nationalist Ambazonians are fighting an uncertain war of independence and are not sure of victory. But one is tempted to ask this question: Are the Federalist also sure of victory under Biya’s watch? From the events of the past weeks, it has become clear to them that no one can oust a fascist regime like that of the bloody dictator Paul Biya from the ballot box. Even Barrister Akere Muna, an Ambazonian born candidate of the colonial elections, a federalist and a believer of change in the La Republic through the ballot box now agrees that change is not in the agenda of the colonial institutions. “Our institutions are not prepared for change. The electoral process in Cameroon is not a process at all. It is a script played out by actors; some of the good faith and others fully initiated in the scam. The future of our country now hangs in a balance” said Barrister Akere after the unfavorable ruling by the Colonial Constitutional Council. Ambazonians who wholeheartedly welcomed Paul Biya’s war as a war of independence and had since then been defending homeland have been vindicated. They did not start the war; the war was brought on them by a deadly regime that has refused the many international calls for dialogue on the root causes of the Southern Cameroons question but only determined to wipe out an entire people by force. 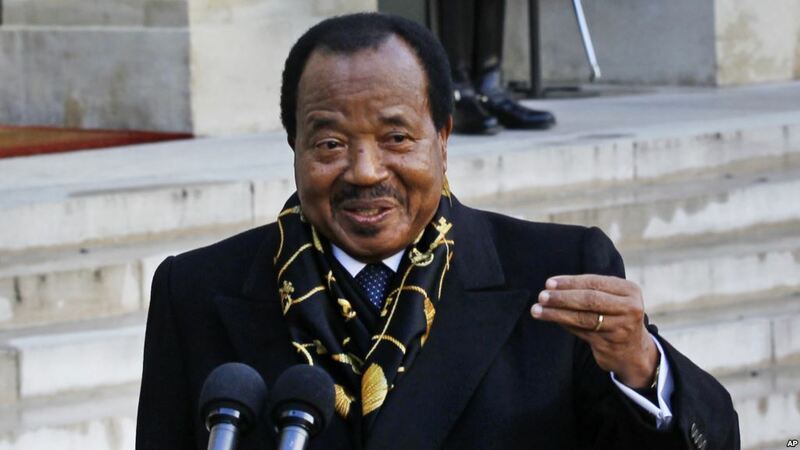 Now that Biya has refused to submit to defeat through the ballot box, the Federalist believers may wish to reconsider their positions and joined the nationalist movement. They must now support and fund the restoration forces to pressure the colonial regime to the negotiation table. If peace plants and the ballot box have not brought Biya to submission, nothing else can bring him down except a popular uprising or death. 7 more years of Bareta et al ….self exile.make wuna step foot for Cameroon as wuna don set up we brothers dem killam in the name of Amba. Uk, us,german, belgian passport no go help wuna. wuna go undstertand who be popol.Wuna names dey long BLACK list. Francophones are there protesting violently throwing rocks at the police how many have they killed? Shine your eyes Mr. White list you are not a Cameroonian. Ambazonians are making progress toward independence yet with that area there are still some among the population who still believe in the federation? War of independence is on going in Ambazonia to support this process. Couod it be that there are almost always different camps trying to get to same destination from different directions? I’m a Biafran and I see a lot of similarities between what Ambazonia is going through in the hands of the murderous president Paul Biya and the divider of Nigeria Muhammadu Buhari.